Design brief for this project we received in june 2011. 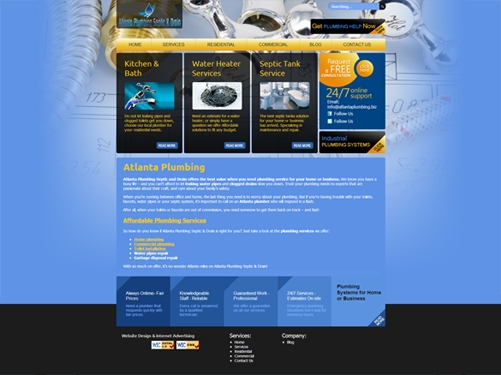 Task was to create website for company, which provide plumbing services. WordPress was taken, as a system to manage content. In our design we planed to put background with image which be suitable for plumbing services. Also we divided all content on separate boxes, in order to structure whole information. We made map of georgia state, where we placed possible places where company can deliver their services.